I made this recipe the other night. I love fried chicken and because of how much work it is and the mess I make, making it, I don’t make it. I found this recipe from The Recipe Rebel. 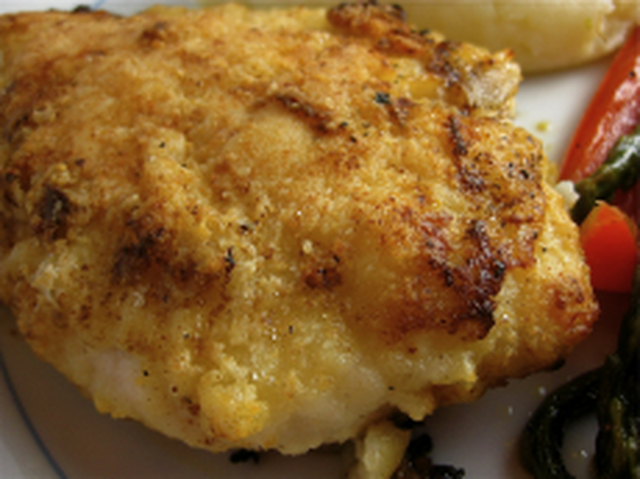 It tastes wonderful, almost like fried and was way less messy and so easy. I used bone-in legs and thighs. I cooked them for 45 minutes on 400, flipping half way through. When I went back to The Recipe Rebel website I noticed she had added 1/2 cup Panko Bread crumbs to this recipe. I will try that next time. Remove the pan from the oven and place the chicken pieces in the melted butter, making sure the pieces are not touching or overlapping. Return the baking dish to the oven and cook 10-12 minutes.